Undated Photo of Taiwanese troops using U.S. equipment. Taiwan, faced with a more aggressive China, is talking a good game of ramping up the island’s security with its own submarines, buying sophisticated fighter aircraft and exploring asymmetric defenses, but President Tsai Ing-wen’s administration has not made the hard choices to raise a defense budget that already is being consumed by higher personnel costs, an expert panel agreed on Wednesday. “It’s a judgment call” on how much to spend on security and how to spend it, Ryan Hass, a fellow at the Center for East Asia Policy Studies at the John L. Thornton China Center said at the event at the Brookings Institution. But as a percentage of a flat-lined defense budget with an increasing personnel topline, “this is where the questions of submarines, F-35s comes up” for future defense needs are going unmet. 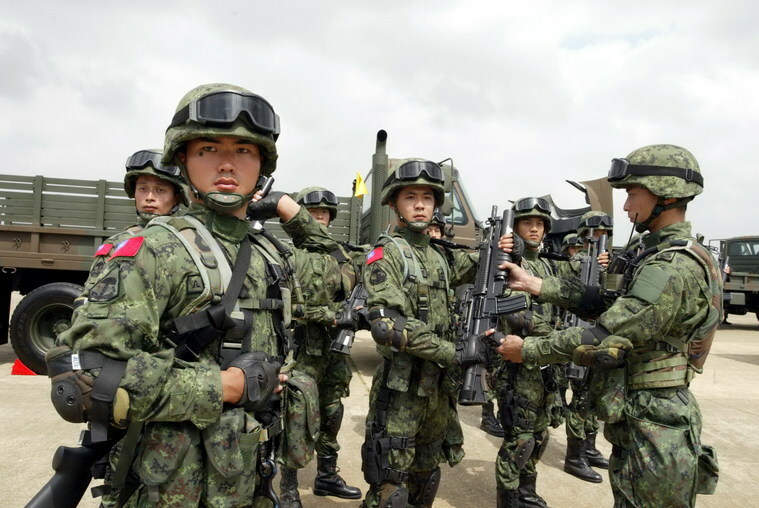 Bonnie Glaser, of the Center for Strategic and International Studies, added, while “there continues to be a very close relationship” between the United States and Taiwanese militaries, there is a “lack of convergence” over basic questions. Using submarines as an example, she said there is no meeting of the mind in Washington and Taipei over the size, range or mission of a new class of attack boats. She added discussions about revitalizing the submarine force have been going on since the early 2000s. No U.S. shipyard builds diesel-electric submarines, but under current security arrangements, Washington is involved in these kinds of arms development and buying. Adding to the complications, “it’s not a short timeline [to build a submarine even if there were an agreement on how to proceed] and the PRC would know” when the vessel was expected to be delivered, Richard Bush, a senior fellow at the Thornton Center, said. Further, “in a war situation [in the Taiwan Straits or near Taiwan], I suspect the U.S. Navy would prefer to operate alone” to avoid the possibility of firing on one of Taipei’s subs. One hopeful sign on Taiwan security comes from a shift of public opinion on the island about how to view China. As President Tsai Ing-wen’s administration completes its second year in office, Robert Wang, a senior policy advisor at Covington & Burling, said, China’s goal and intention is unchanged as it ratchets up pressure on Taiwan economically — in information technology where Taipei has a lead and through bomber and fighter flights circling the island. Through its economic clout, China is bearing down on other nations to break diplomatic and trade ties with Taipei. The “softer” approach to reunification specifically includes enticements to the young to leave Taiwan for higher education and more job opportunities in growing technical fields, Wang and others said. Youth unemployment and a stagnant industrial base are challenges the government is slowly addressing, but do not yield themselves to quick solutions, Rigger said. To further isolate Taiwan from the world community, party and government leaders in Beijing are blasting almost every move the United States or any nation, international body or business makes toward Taiwan as being “anti-Chinese” and denying the “One China policy” agreed to by Washington and the United Nations. 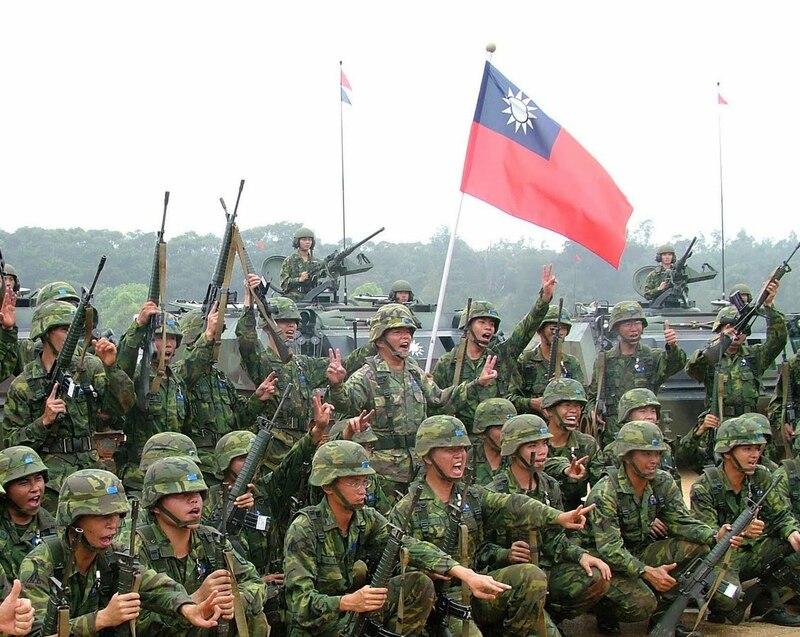 Taiwanese troops following an undated exercise. So far, a number of American airlines and other companies are not complying with the demand. In short, Beijing is trying to erase an independent identity for Taiwan. “I wonder if there was anything we’d be doing [besides] dance troupes, cultural things” that wouldn’t draw out that “you’re anti-Chinese” response, he added. 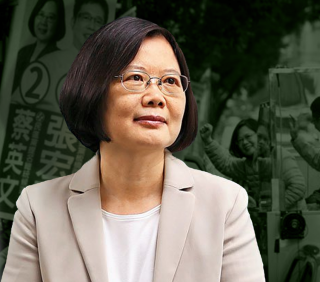 Tsai’s party in the past has favored a sovereign status for Taiwan in contrast to the KMT Party with its roots on the mainland. Her party also has a strong appeal among the younger population of the island, the very base Beijing is trying to attract.